Food at Sporting events can be Expensive. The Masters is the exception to the rule. 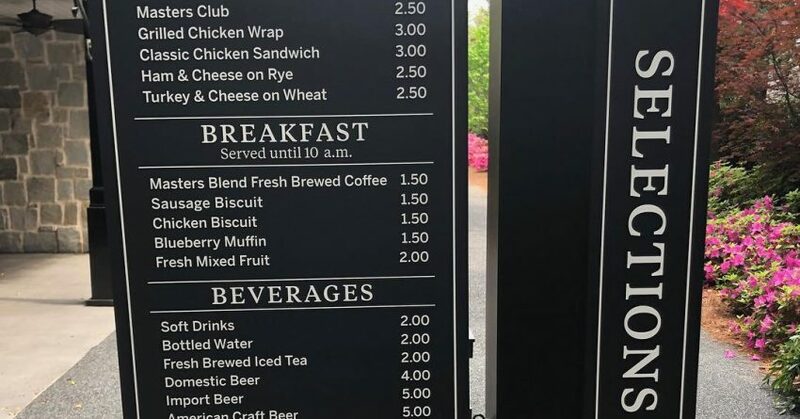 One of the most talked-about things about the Masters Tournament and going to Augusta National as a patron is the quality and prices of the food served at the tournament.The food prices are low for good reason. Augusta National wants to make the patrons feel like welcomed club guests. They won’t gouge their patrons on food prices, and patrons are going to spend a whole ton of money at the merchandise shop that is three stories tall. Take a look at the Menu.